It could all happen pretty quickly. Believe it or not, by as early as summer of next year, a fleet of ships dragging arrays of super-loud seismic blasting cannons could be trolling the Atlantic Coast waters looking for oil deposits. And, if they’re successful—that is, if it looks like there are promising oil deposits out there—not too long after that, the U.S. government could give oil companies permission to start drilling offshore. In this case, what will be booming are those seismic airguns, devices towed behind research vessels that unleash extremely powerful, pressurized air bubbles that generate equally powerful sound waves. And not just once: ships transport as many as 20 of these blasters, which fire every 10 seconds, day and night. The blasts themselves could adversely affect ocean mammals along with fish and shellfish, says Zipf. And what’s being fast-tracked, despite tremendous opposition from fishermen, environmental groups, local and state leaders, and tourism officials, is a two-stage permitting process involving the National Marine Fisheries Service and the Bureau of Ocean Energy Management. Not only are the blasts themselves—whose very name, seismic, evokes an earthquake—harmful to ocean life, but they’re the first step toward the creation of Deepwater Horizon-style drilling rigs populating the entire East Coast. The seismic blasts penetrate deep into the ocean floor, echoing down into the bedrock for 20 miles or more, and the echoes of these blasts provide clues for geoscientists and oil exploration experts about whether or not hidden petroleum deposits lie below. Opposition to both the seismic blasting and the drilling is expanding from Maine to Florida, with environmental groups, such as Oceana and Clean Ocean Action leading the charge. The Business Alliance for Protecting the Atlantic Coast (BAPAC), supported by 41,000 businesses and half a million commercial fishing families, has been fighting Big Oil’s plans for the Atlantic since its founding in 2016, says Vicki Clark, chair of the Cape May County Chamber of Commerce and a member of BAPAC’s board of directors. And in New Jersey, both U.S senators and a bipartisan group of 11 members of the state’s delegation in the House of Representatives have opposed allowing the seismic blasting. Cory Booker and Robert Menendez, New Jersey’s two senators, have introduced the Atlantic Seismic Airgun Protection Act, supported by senators from New Hampshire, Vermont, Massachusetts, Connecticut, Rhode Island, Maryland, and Florida. Representative Frank LoBiondo, who represents New Jersey’s Second District, which includes Cape May—and who called seismic blasting “barbaric” and “insane”—has introduced a parallel bill in the House. But anti-blasting legislation won’t be enough. Given the agonizingly slow pace of action in Congress, plus the fact that both the White House and most Republicans in Congress aren’t likely to support anything that will slow or halt the rush toward blasting and drilling, the permit process seems certain to outpace whatever Congress might do. So, the next time you’re at the beach, gaze at the horizon and imagine oil derricks looming against the sunrise. 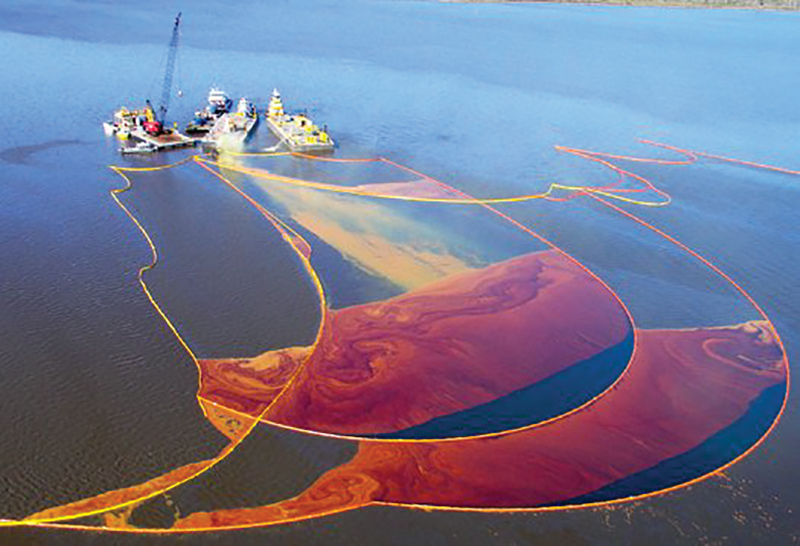 Or, worse, imagine tar balls, oil slicks, and petroleum-soaked sea birds. 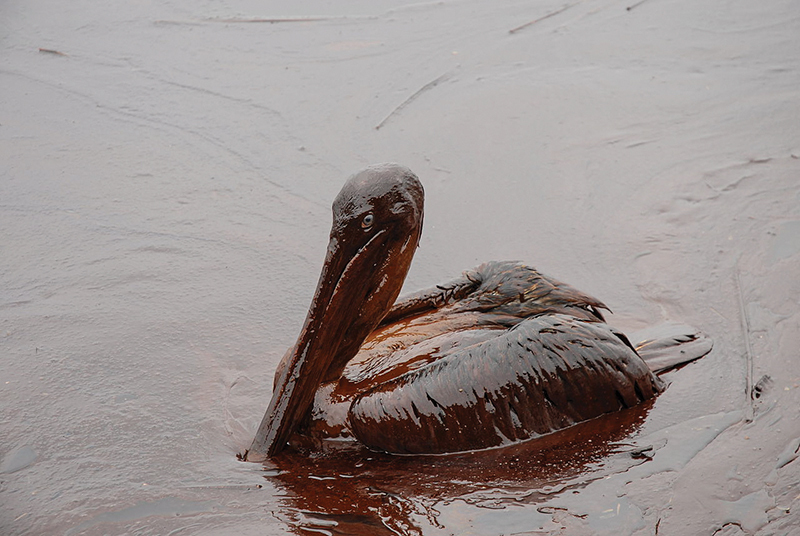 The devastation to beaches and wildlife caused by oil spills. 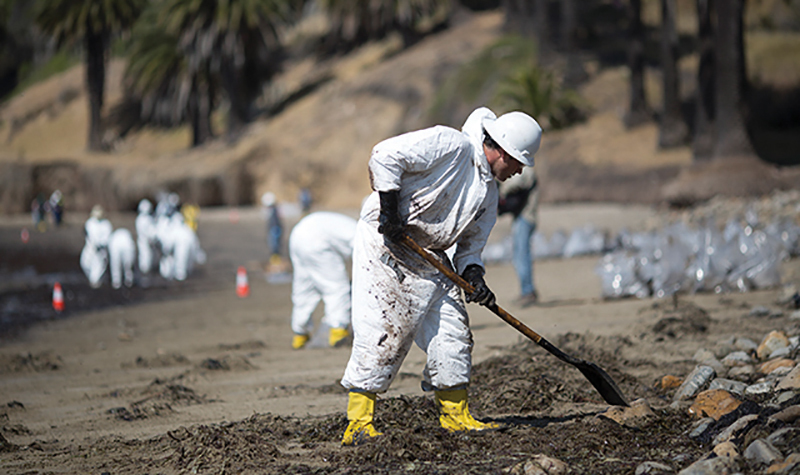 The tug-of-war between coastal communities and Big Oil has been going on for decades. Unlike the waters of the Gulf of Mexico, where 3,000 oil wells pumped 1.6 million barrels of oil in 2016, since the 1970s a succession of U.S. presidents—while toying with the idea—issued a series of executive orders and regulatory actions blocking oil exploration in the Atlantic. It was a bombshell. Trump’s order instantly reversed the Obama administration’s opposition to blasting and drilling and President Obama’s rear-guard effort, after the November 2016 election of Trump, to forestall what many expected would be a drill-baby-drill offshore scheme once Trump took office. In December 2016, making use of a 1953 law called the Outer Continental Shelf Lands Act, President Obama created what amounted to a permanent ban on drilling in waters from Maine to Virginia. That was followed, in January 2017, by a decision by Obama’s Bureau of Ocean Energy Administration (BOEM) director to deny permits of six pending requests from energy companies to start seismic blasting in the Mid- and South Atlantic. But even Obama’s decision was, in the end, a close call. Perry, of course, now serves as Trump’s secretary of energy. The four governors were later joined by three others, all Republicans: Robert Bentley of Alabama, Bob McDonnell of Virginia, and Nikki Haley of South Carolina, who is now Trump’s ambassador to the United Nations. In 2010, responding to the growing pressure from the oil companies and Republican governors, Obama declared his intention to open offshore areas, including the Atlantic, for oil exploration. Then, in 2014, the Obama administration also opened the door toward allowing seismic blasting in the Atlantic. Politically, Obama’s decision back then to take these actions was designed in part to win Republican support for climate change legislation in Congress. Not only did that not work, but the decisions triggered a wave of opposition from coastal communities from Maine to Florida. “When President Obama included the Atlantic Ocean in the five-year plan for oil and gas development, it led to even more public outrage,” says Cindy Zipf of COA. Citizens got engaged. Demonstrations and protests swept the shore. Fisherman, tourism directors, and politicians joined in. By 2015, the Obama administration was listening, and responding, and it began to wind down its support for Atlantic Ocean oil wells. However, Trump, with strong support from oil patch Republicans, is going full speed ahead. Not only are Perry and Haley key members of his Trump’s cabinet, but newly appointed Secretary of the Interior Ryan Zinke, a strongly pro-oil Montanan, is the point man for the whole effort, and his agency oversees BOEM. And, of course, Secretary of State Rex Tillerson is the former CEO of ExxonMobil. As an added kicker, Trump also suspended an Obama administration rule, the Well Control Rule, which placed tough new regulations designed to tighten controls on so-called blowout preventers. That rule, now canceled, was imposed after the catastrophic failure of a blowout preventer in the Gulf of Mexico, leading to BP’s Deepwater Horizon fiasco. 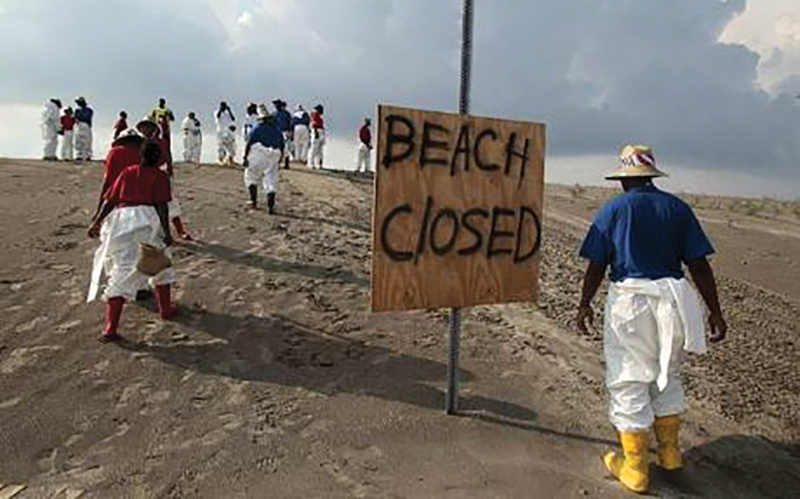 On Earth Day, April 20, 2010, the Deepwater Horizon failure killed 11 oil rig workers and spilled 210 million gallons of oil into the pristine Gulf waters, devastating tourism and the fishing industry. So, thanks to Trump’s cancellation of the Well Control Rule, if and when oil drilling in the Atlantic Ocean begins, the wells will be as safe as BP’s. In June, a team of scientists issued a strongly worded report attacking the National Marine Fisheries Service proposal to allow seismic blasting in deep-water Atlantic waters. Along with Oceana, an environmental group founded in 2001 which has offices worldwide, the scientists explained that the blasts have the potential to do incalculable harm to fish and marine mammal populations. Locally, opposition to the White House’s decision is virtually unanimous. The Cape May County Board of Supervisors, as early as August 2016, went on record with a resolution urging Governor Chris Christie and President Obama to “oppose seismic airgun blasting off the coast of New Jersey.” Similar resolutions were enacted by the Wildwoods, Stone Harbor, Avalon, Atlantic City, and other cities along the shore. According to Oceana, 126 municipalities up and down the East Coast have also passed anti-drilling and anti-seismic blasting resolutions. Meanwhile, for those interested in creating energy in the oceans without worsening global warming or harming marine life, one option—yet to gain traction off the New Jersey coast—is the establishment of ocean-based wind energy farms, or windmills, offshore. According to Oceana, in a report called Ocean Energy by the Numbers, “the modest and gradual development of offshore wind on the East Coast could generate up to 143 gigawatts of power over the next 20 years, which is enough to power over 115 million households,” while creating tens of thousands of jobs. But BOEM says that in the Atlantic only a single offshore wind farm, off Block Island—just south of Rhode Island—is operational. In New Jersey, an effort to get another one in place seems dead in the water. A consortium called Fisherman’s Energy won a grant of $41 million from the U.S. Department of Energy in 2014 to help kick-start the project, but it soon ran into trouble, including from the Christie administration. According to a 2015 article in The Washington Post, Christie—who was exploring a possible run for president in 2016—was influenced by the Big Oil-linked Charles and David Koch, who are bitter opponents of renewable energy such as windmills. Said Steve Sweeney, the Democratic president of the state senate, “The Kochs don’t like clean energy. The governor wants to be a Republican presidential candidate, and this kind of energy doesn’t get you any stars.” Soon afterward, the Christie-appointed regulatory board upended the wind farm plan. But if the fast-tracked Trump offshore oil scheme is stopped, and if New Jersey elects a new governor in November, there might be clean, green energy coming out of the ocean after all.